Ulefone is a China-based manufacturer known for releasing affordable, yet solid smartphones. The Ulefone Be Touch 2 priced $189.24 - $198.06 is the company's current flagship smartphone, which tries to balance a decent hardware lineup into an affordable and attractive package. 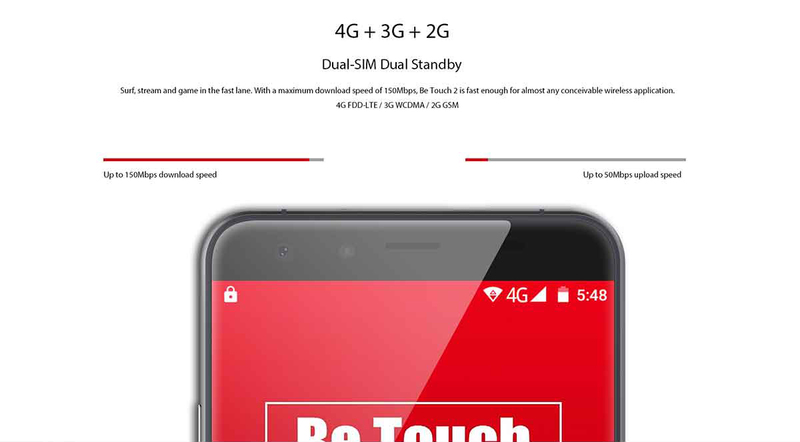 All in all, the Ulefone Be Touch 2 is a nicely designed smartphone, with a decent set of specifications which can get you through most day to day tasks. However it is a bit bigger than we would have liked it to be. The Ulefone Be Touch 2 has quite a decent build made out of metal, plastic and glass. 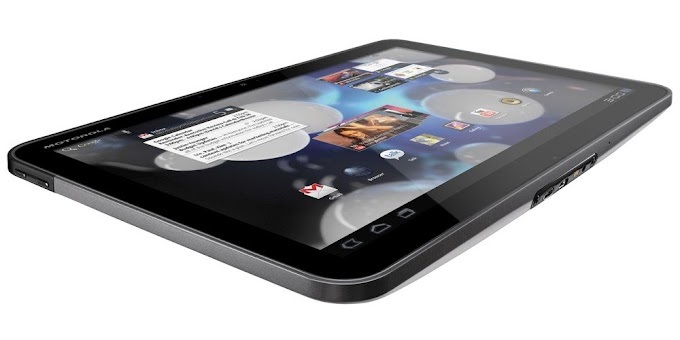 The frame which runs around the device is metal, giving the device a premium feel. 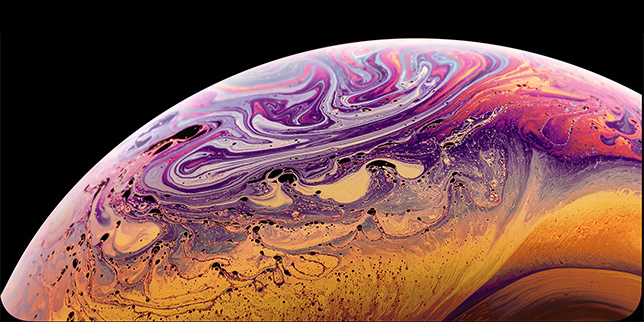 The design itself is somewhat similar to Apple's iPhone, but this doesn't necessarily have to be a bad thing. The rounded edges also make daily handling the device easier. The removable back cover is made of plastic, and and has a matte finish which should keep the device from slipping out of your hand. The front is mostly made up of the 5.5 inch glass display, but another visible iPhone inspiration comes in the form of an inbuilt fingerprint scanner, which also doubles as a home button. Two capacitive navigation buttons on either side assist with basic Android navigation. The power / lock and volume rocker buttons are placed on the left-hand side of this phone. The speaker is located on the bottom of this device, and both the micro USB power plug and a 3.5mm headphone jack can be found up top. 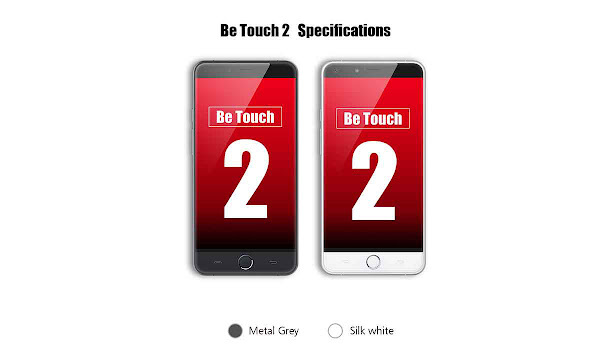 All in all, the Ulefone Be Touch 2 is a nicely designed smartphone which is a bit bigger than it’s supposed to be. 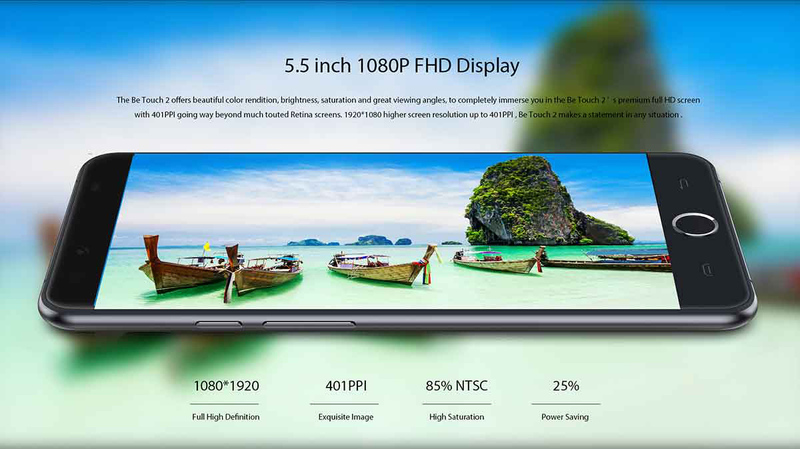 The display on the handset is a 5.5 inch LTPS display with a 1920 x 1080 pixel (1080p) resolution. This display panel is commonly used by Chinese manufacturers including OnePlus, and is known for its saturated colors, and good outdoor visibility. While some may wonder why the manufacturer hasnt chosen a QHD display for their flagship, you will find the 1080p display on the Ulefone Be Touch 2 is quite good, and you will notice little differences between its display and a QHD display. The 1080p LTPS panel is also very, very bright. This is actually due to Ulefone’s settings, they’ve set it up this way. You can basically put this thing on manual brightness setting and lower the brightness all the way down to 10-20% and the display would still be bright enough to use. This brightness will also be useful under direct sunlight, where you will usually struggle to read your display. 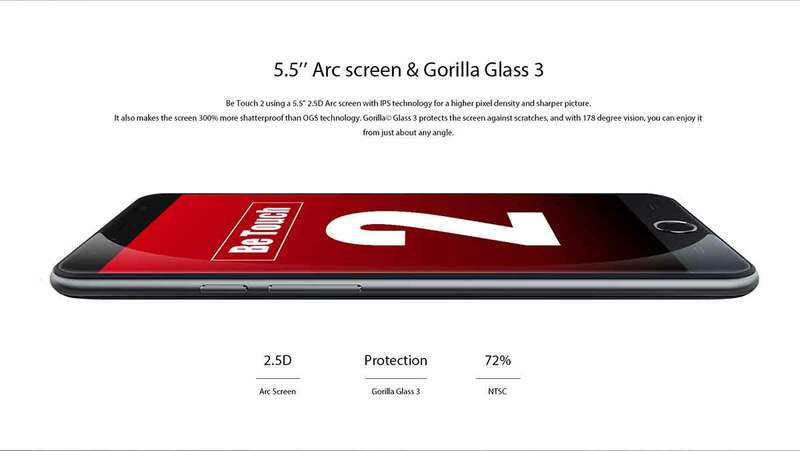 In terms of the responsiveness, the display is quite good, and you should have no problems with day to day use. 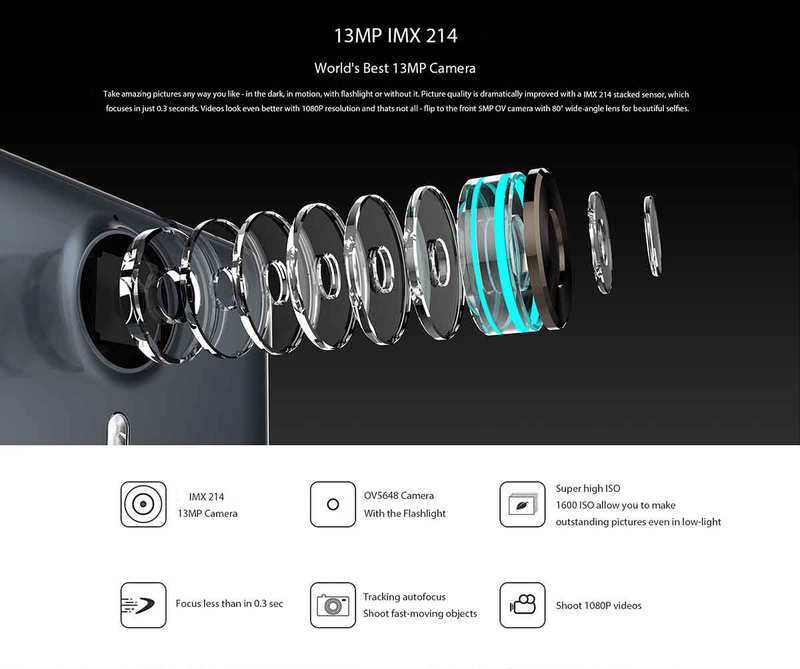 The rear camera on the Ulefone Be Touch 2 is a 13 megapixel fourth generation Sony IMX214 sensor. A 5-megapixel sensor resides in the front of the device, and OmniVision’s OV5648 sensor is in charge of taking selfies. While we can't attest to the quality of this camera's photos, the Sony sensor is said to provide great output when setup (with the right software). The samples we found prove to be details with saturated colors. Even indoor photos turn out well, though its known to overexpose light. While you dont get features like image stabilization, you will get some decent photos for the price. 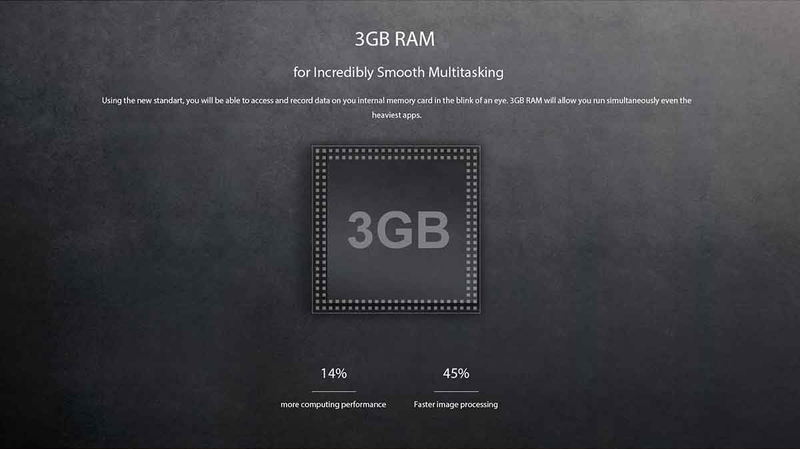 The smartphone give you 16GB of storage, which you can expand through microSD. However the real power comes in the form of MediaTek’s MT6752 64-bit octa-core SoC clocked at 1.7GHz along with a Mali T760 MP3 GPU for graphics. You will also find the chip has been bundled with 3GB of LPDDR3 RAM, which is a nice addition for its price. As far as general performance goes, the phone can handle most tasks without issue. Multitasking is responsive, and most games like Dead Trigger 2, Asphalt 8: Airborne and Despicable Me run without lag. The Ulefone Be Touch 2 performs quite well in call quality, and doesn't suffer from dropped calls or anything of that sort. The conversations are clear at both ends, and there were no visible issues during prolonged calls. The loudspeaker on the other hand could have been improved. 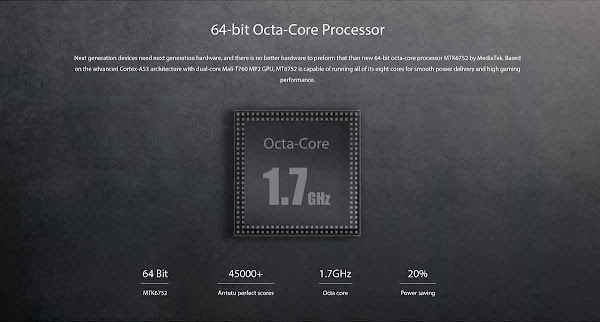 While its capable, its a small unit, and output can be weak compared to some of its competitors. As far as general sound quality goes when you plug in headphones, well, that part is quite solid, you won’t be disappointed. 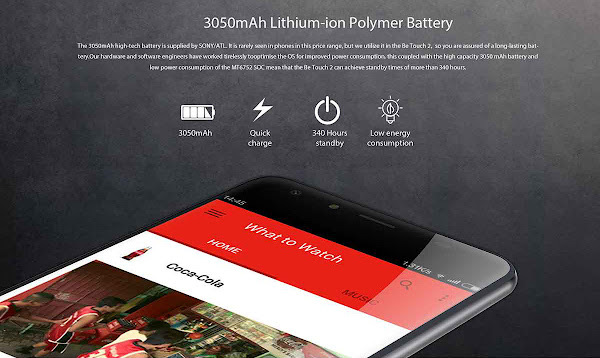 The handset ships with a 3050mAh battery, which should be more than enough to get you through a full day, given the rest of its hardware setup. 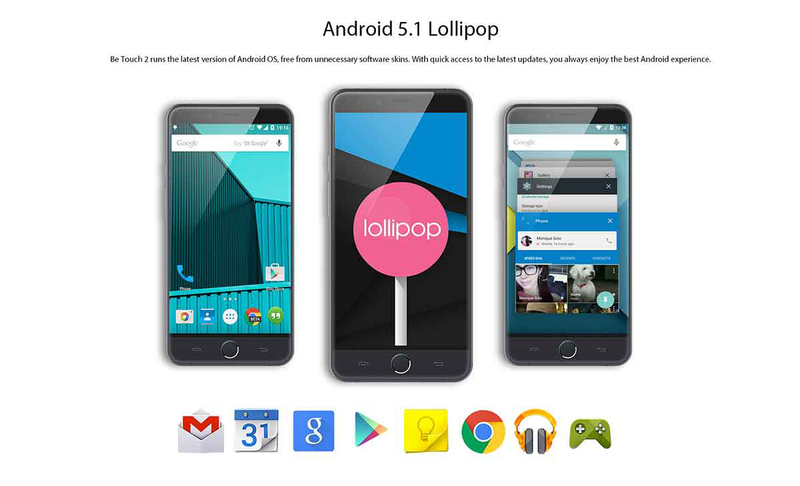 The Ulefone Be Touch 2 runs Android 5.1 Lollipop out of the box. However Ulefone has added some customization to enhance the user experience. For example, you get off-screen gestures which can be quite useful actually, like Double tap, Swipe up, Launch Camera, Launch Calculator and Control Music. These gestures can be turned off as well if you want, but they can be quite useful. The double tap on the screen will turn on the screen, while drawing the letter ‘C’ while the screen is off will launch the camera. You also get HotKnot here, which is essentially MediaTek’s version of NFC. In the settings menu, you’ll also be able to find the ‘Finger Scanner’ option which will let you set up the fingerprint scanner which is located below the display. You’ll be able to set up to 5 fingerprints here, the ones you choose, of course. The setup is quite straightforward, and it works more or less like the other popular products in the market. 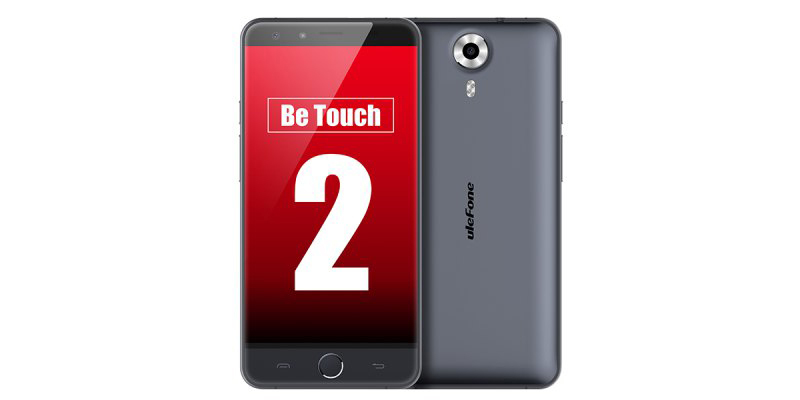 From what we see, the Ulefone Be Touch 2 is a very capable device, for the below $200 asking price. You get a 5.5 inch smartphone, which a decent build and hardware capable of getting you through a day without out any hassle. The speaker could have been louder, and the battery could have fared better, but besides that you will probably be happy with owning this handset. The handset can be picked up in either black or white, and is available through various online retailers like VolumeBest. VolumeBest is known for offering various discounts on their handsets, so be sure to check out the website for deals.